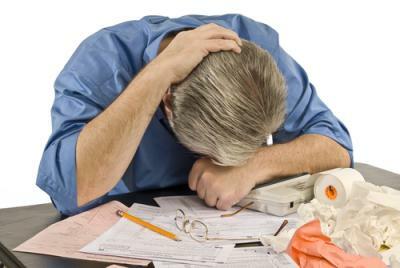 It is April 15 and while most people don't exactly celebrate getting their taxes filed (or their extensions), for most there is a sense of relief. There are those who anticipate refunds and who do perhaps celebrate, although this only occurs if a taxpayer contributes more than necessary over the course of the year and then gets those funds returned with no interest - probably not a great financial strategy. What is the history of federal taxation, you might wonder on this day of tax filing? The first federal income tax came about in 1861 to help fund the Civil War. The original act was repealed, readopted and ultimately determined by the Supreme Court to be unconstitutional in 1895. In 1913, the 16th Amendment to the US Constitution was ratified, which gave the Congress the legal authority to tax all incomes. The April 15 deadline date was not set until 1955. Everyone can think of federal government programs that they hate and would easily proclaim - I don't want my tax dollars paying for that - but most likely there are also programs we all enjoy. As citizens, we unfortunately don't get to pick and choose which programs our taxes support, except indirectly by voting. There are few people who would feel that the amount of taxes they pay are low, but US taxation levels are actually quite low in comparison with the rest of the industrialized world. One measure of the level of taxes is the "tax freedom day" which is the day that a nation as a whole has theoretically earned enough to pay its taxes. In the US in 2014, that day was April 21 with a total tax burden calculated at 30.2%. Countries with earlier tax freedom days include India and Albania, both calculated to be in mid-March and around 22%. Estonia (31%) is right on the heels of the US on April 24. Most other industrialized nations fall into May and June. Spain hits the mark on May 10 (36%), New Zealand and South Africa on May 21 (39%), the UK on May 28 (41%), Canada on Jun 6 (43%), Belgium Jun 14 (45%), Germany Jul 8 (52%) and Norway topping the list at Jul 29 (57%). You may now be feeling better about the level of taxes you pay, so let's focus on where the money goes. The US Center on Budget and Policy Priorities reports the following for fiscal year 2014: 24% of the budget went to Social Security. Medicare, Medicaid, CHIP and health insurance subsidies also got 24% (with about 66% of that going to Medicare); Defense took about 18%; Safety net programs got 11%; Veterans and federal retirees got 8%; interest on the debt was 7%; transportation and infrastructure took 3%; education got 2%; science and medical research got 2% and non-security international aid got 1%. In fiscal year 2014, the federal government spent about 20% of the country's GDP or $3.5T. If we divide the budget into mandatory and discretionary spending, mandatory spending (Social Security, Medicare and health, Veterans Benefits, Food & Ag and Transportation) makes up 65% of the budget and is determined by eligibility requirements. Discretionary spending approved by Congress makes up 29%. One final fun fact for today is that tax breaks written into the tax code to various special interests will reportedly total $1.24T in 2015 - more than all the discretionary spending ($1.16T) in the entire budget. This set of tax and budget tidbits should help you understand a bit better what happens to your tax dollars. At least be glad it's finished for 2014! Treasury yields fell 3bps as retail sales slowed a down in the month of March, adding to bets the Fed is unlikely to raise rates in June. Yields are unchanged ahead of this morning's upcoming housing and manufacturing releases. JPMorgan reported net income was $5.9B (+12% YOY). Noninterest revenue drivers that jumped the most YOY were fixed income trading (+10%); investment banking fees (+26%) and mortgage fees (+37%). Other data of interest: return equity (11%); ROA (0.94); net interest income fell (spread compression); loans (+5%); deposits (+7%); LTD ratio (56%); FTEs (-2%); efficiency (62%); NIM (1.97%); dividend payout ratio (27%); loan loss allowance to loans (1.86%), 37.7mm active online customers (+8%); 20.0mm active mobile customers (+22%). Wells Fargo reported net income of $5.8B (-2% YOY). Other YOY info: core loans (+7%); deposits (+9%); NIM (2.95%, -9bps); average deposit cost (0.09%, -2bp); brokerage advisory fees (+6%); investment banking (+36%); card fees (+11%); mortgage banking fees (+2%); small business checking customers (+5.5%); 25.7mm active online customers (+8%); 14.9mm active mobile customers (+19%). Other ratios: efficiency (59%); dividend payout ratio (33%); ROA (1.38%); ROE (13.2%); loss allowance to loans (1.51%). Bank of America Merrill Lynch projects earnings for companies in the S&P 500 will decline by $2 per share this year, the first decline since 2009. Lower oil prices and a strong US dollar are indicated as major drivers. CoreLogic and an affiliate marketing network LeadClick Media have been ordered by a US district court to pay $16mm related to a deceptive marketing scheme that sold purported weight-loss products (on behalf of LeanSpa LLC). First Tennessee Bank ($24.5B, TN) will pay $212.5mm to settle claims related to a mortgage business it sold in 2008. Fed Governor Powell said the FOMC should look for "a little more proof than usual" that labor markets are tightening before raising interest rates. He said the Fed should move rates gradually, but if the economy improves faster or inflation increases more than expected "it would be appropriate to raise rates faster" and if the economy softens or inflation remains lower than expected "it will be appropriate to delay liftoff or raise rates more slowly thereafter." In short, it looks like we are still data dependent.